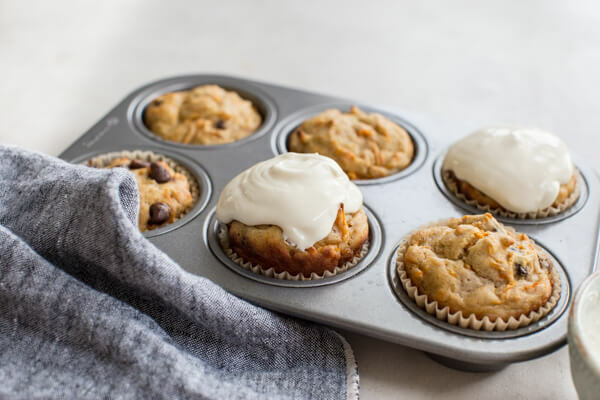 Gluten Free Carrot Cake Muffins with Greek Yogurt Frosting, this healthy carrot cake high protein muffin recipe is to die for. Bonus points, cream cheese frosting for carrot cake is even tastier with Greek yogurt! To die for carrot cake (made healthy) does exist my fellow sweets lovers! 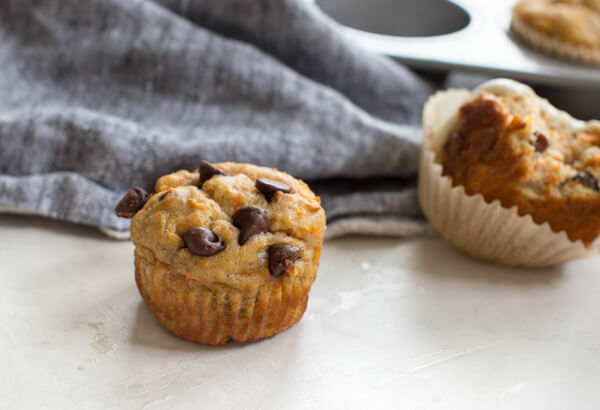 Also, these protein muffins will rock your socks off – that’s not an understatement, friends. 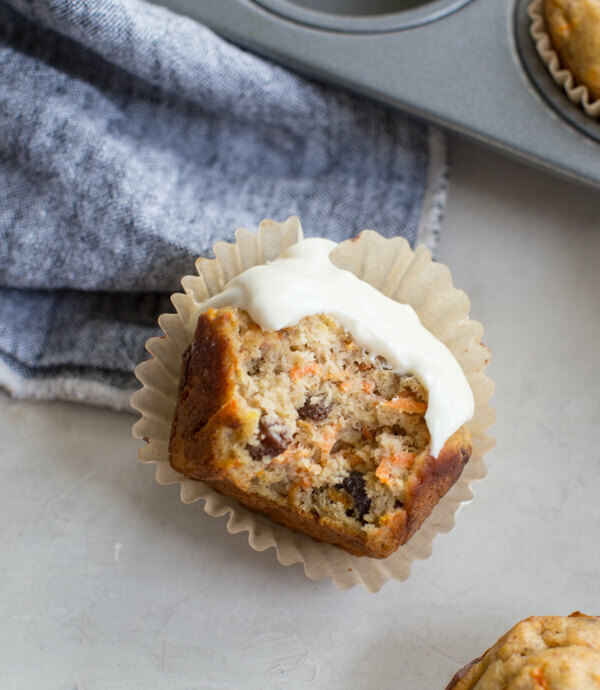 A traditional carrot cake recipe that has been healthified and turned into carrot cake muffins. Oh, and not to mention it’s a gluten free carrot cake recipe. 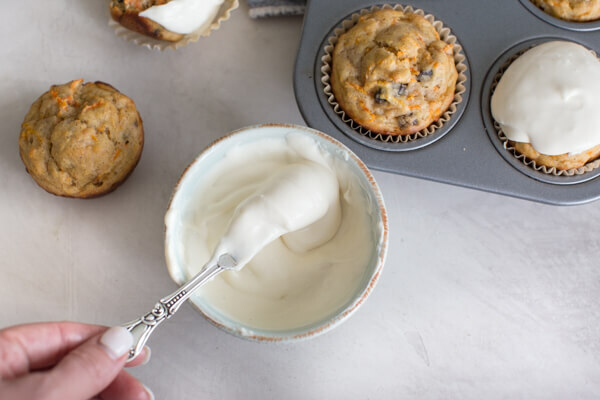 Just when you think this protein muffin recipe couldn’t get any better, I come out swinging with this cream cheese frosting for carrot cake that’s made with Greek yogurt. Oh yes I did! 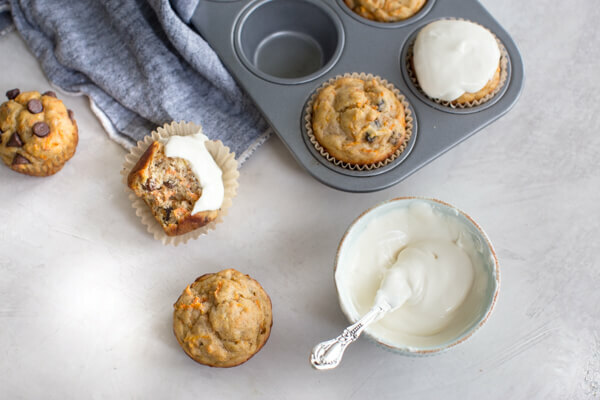 Ingredients in Healthy Carrot Cake Muffins Recipe? The warm comforting spices in carrot cake are what make it so special and memorable IMO. And I didn’t want to sacrifice the taste of a traditional carrot cake recipe because it just wouldn’t be the same. You’re going to love this recipe! And I can’t wait for you to taste them for yourself. 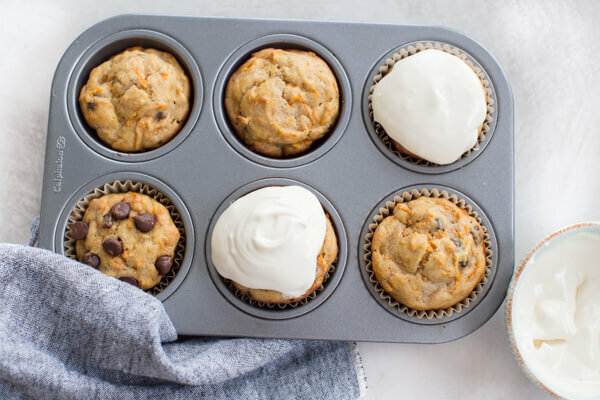 How to make carrot cake muffins gluten free? These protein muffins are made gluten free courtesy of the gluten free flour. 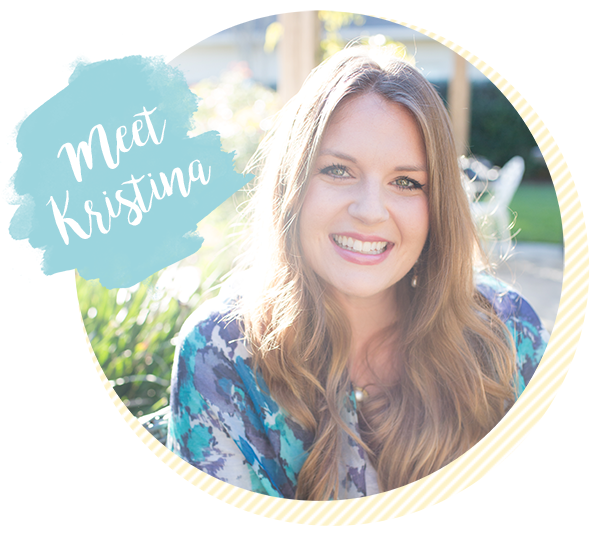 I love using King Arthur’s Gluten Free Measure for Measure flour – highly suggest if you haven’t tried! Bob’s Red Mill also has a great gluten free baking flour that would work well with this recipe. But specifically for this recipe, the all purpose flour is the only ingredient that you have to worry about containing gluten. All other ingredients are naturally gluten free, yay! How to make Greek yogurt cream cheese frosting for carrot cake? I can’t stress enough how so stinking easy this creamy frosting is! Also it’s only 3 ingredients and one bowl for a deliciously healthy frosting – I’ll just be over here licking the bowl! Yep, that’s all she wrote. So if I were you, I’d be adding these ingredients to my shopping list ASAP. Mainly so you can get your hands on this frosting. You’ll see what I’m raving about when you make it. 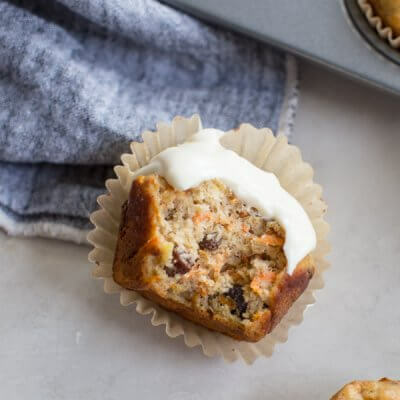 Also, with Easter (and baby/wedding shower season) sneaking up on us, what better way to put a healthy twist on carrot cake than with these carrot cake muffins with Greek yogurt frosting? Because they’re the bomb! Serve them on your breakfast buffet or dessert table! 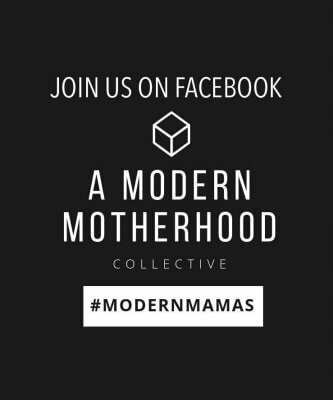 I know your friends and family won’t be disappointed! Have a huge sweet tooth? Follow a gluten free diet? Just love traditional carrot cake? 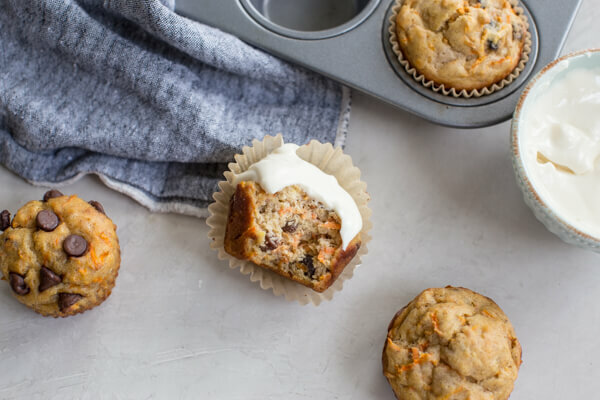 If you answered yes to any of these questions then these healthy carrot muffins are perfect for you! Also, the little ones are sure to be all over these muffins too! 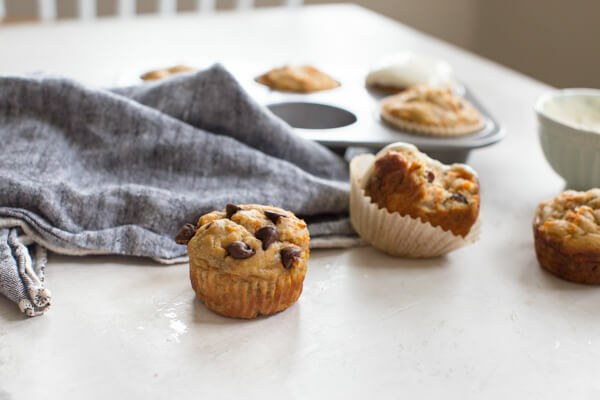 Serve them with or without the frosting for a high protein breakfast muffin that can be easily prepped. 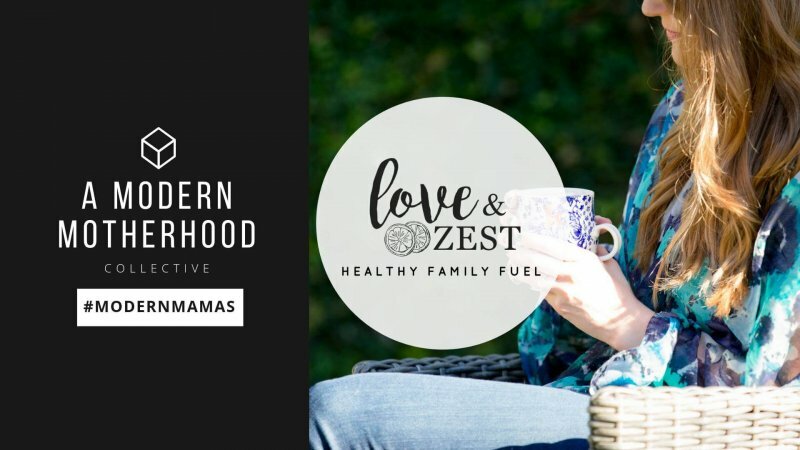 In other words, make them a breakfast staple for the entire fam! Enjoy friends! Because I love all things carrot cake, I have many other carrot cake flavored recipes on the blog. So if you’re as into carrot cake as I am, check these other recipes out! 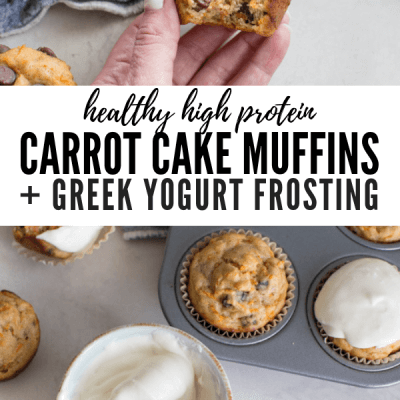 Gluten Free Carrot Cake Muffins with Greek Yogurt Frosting– this healthy carrot cake high protein muffin recipe is to die for. Bonus points, cream cheese frosting for carrot cake is even tastier with Greek yogurt! Preheat oven to 375 degrees F. Line muffin muffin tins with liners or coat liberally with cooking spray. In a large bowl, mix together avocado oil, eggs, bananas, yogurt and vanilla extract until fully combined. Stir in cinnamon, nutmeg, allspice, cloves, baking powder, baking soda and salt; add gluten free flour and almond flour and stir until fully combined. Fold in carrots and raisins. Pour carrot cake muffin batter into muffin cups and bake for 22-25 minutes; allow to cool completely before frosting with cream cheese. To make cream cheese Greek yogurt frosting, in a small bowl mix together cream cheese, greek yogurt and maple syrup. 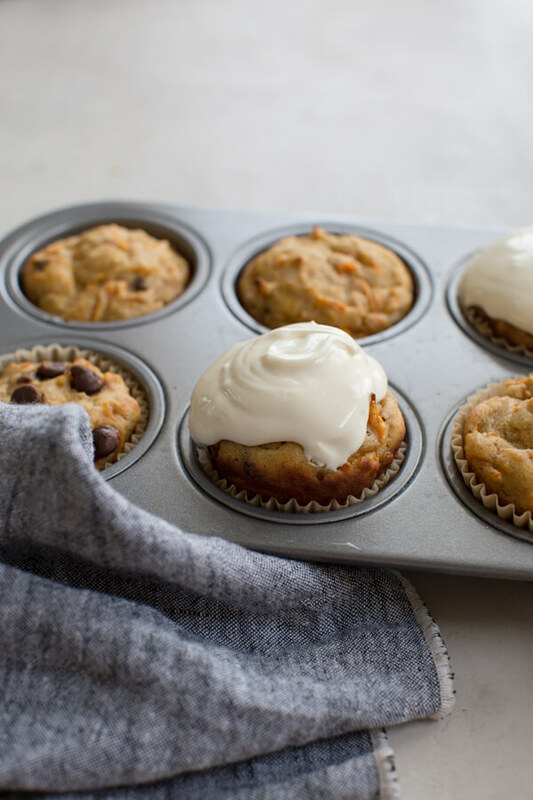 Nutrition information is based on carrot cake muffins topped with Greek yogurt frosting. Amazing frosting and amazing cake. I can eat it all day long. Super delicious. what a delight to have a gluten free carrot muffin for breakfast I need to get all the ingredients to make these asap! You had me at Carrot Cake!!! I also love that it is gluten free as I think that makes for a versatile and healthy recipe. Your photos are very good and I am going to give this recipe a go, cheers!! Thank you for such a great recipe! 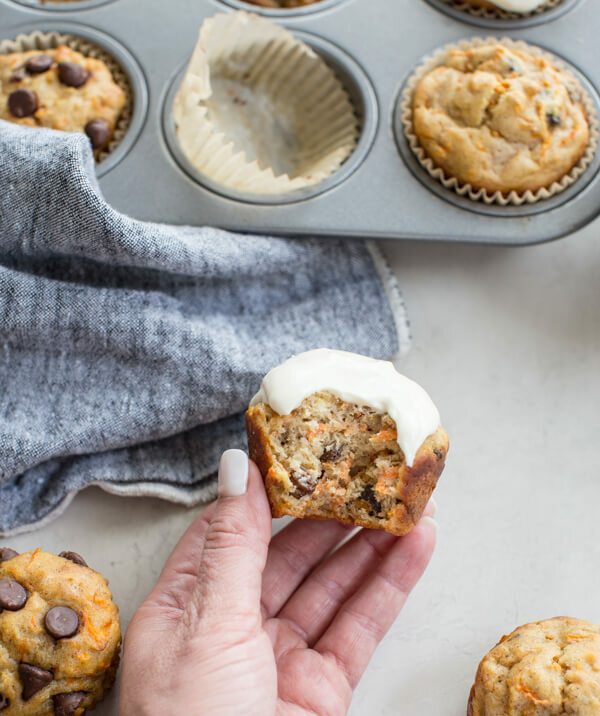 I love carrot cake and these muffins are genius! Keep up this nice work! Kristina, I love these muffins! do you have the nutritional breakdown for these? Hey Mary Ann! I did a quick estimate on MyFitnessPal for you: 200 calories, 30g carbs, 5g fat, 9g protein, 2g fiber 🙂 Hope this helps!